What Are The Benefits Of Blogging For A Small Business? You probably have a website and are using at least one of the social media platforms – Facebook, Twitter, LinkedIn, Instagram, or Pinterest. So, why you should add a blog to your inbound marketing strategy? What’s a blog anyway? 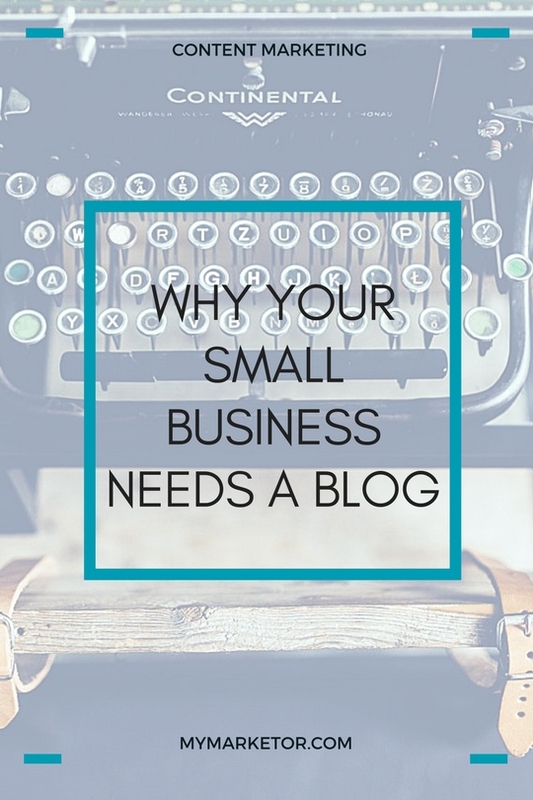 And what are the benefits of blogging for your small business? The word blog is a combination of “web” and “log” meaning that you post or log regular entries to a specific web page. Blogging is a marketing tactic where you provide content and value to your readers while making your business more visible online. Everyday potential customers turn to the internet to seek answers and advice. So why not make easy for them to find you? Make your blog a resource for your potential customers/clients by providing useful and relevant information about your products and services as well as industry trends. You can answer your customers’ Frequently Asked Questions. Share your or your customers’ tips on how to use your products or services and position yourself as the expert in your field. Every post you publish is a new web page on your website. The more pages your website has, the better your rank in search results. And the more often potential clients will be directed to your website. Having an active and relevant blog signals the search engines that your website is not static and this can improve your Search Engine Optimization (SEO). Marketing Tip: Add Social Sharing buttons to your blog so that your readers can share your posts on their social media platforms to introduce your business to a brand new audience. There are many other companies selling similar products and services but your story is unique to you. A blog is a great place to tell that story, highlight what makes you different from the competition and build your brand. Blogging forces you to stay up to date with your industry latest trends, best practices, and innovations in order to create new and useful content. Since your potential customer landed on your blog looking for help. You need to write in plain English so that your post – the answer to their question – can be easily understandable. Blogging helps you see things through the eyes of your customers. By going thru the blogging process, you become better prepared to make sales presentation in person, increase your sales and improve your bottom line. Setting up and updating a blog is easy to do, cost very little if any money when you choose to do it yourself. Blogging offers you an inexpensive (if not free) way to share information about your business and showcase your expertise. You own and control your website and blog while you have little control over your social media accounts. Use your blog to publish your content. Use your social media platforms to share and promote that content. Always link back to your blog and/or website. Write down your frequently asked questions and make a blog posting schedule. You can add the schedule to your content calendar. Or just write it on a page and stick it on a wall where you can see it and be reminded. Don’t make it too complicated at the beginning. Now that you have an outline of what you want to talk about, write down all your post ideas as they come. I use a blog idea folder on my desktop and have a secret Pinterest board with images, quotes, ideas that I can turn to when I have a major case of blogger’s block. Some experts recommend posting five times a week. As a small business owner, it might not be feasible. Shoot for once a week or may be once every two weeks to start and then add more posts during the week if time permits. If you have the staff, you might want to share blogging duties with senior members of your team. Having different points of view will make your blog more interesting. You can also outsource your blogging if you have the budget for it. As with any form of marketing the key is to be consistent. It’s better to have shorter more frequent posts that longer and infrequent ones. Do I need to add pictures? Yes, most people are visual learners, spruce up your blog with pictures. If you sell a product, add pictures of your product and show different uses for your products if applicable. Create graphs, infographics, or add videos to your blog. Even if you do not have a Pinterest account, make your blog Pinterest friendly since this social network is known to generate referral traffic to websites. A blog is a valuable marketing tool. Use it to tell your story, educate your customers, showcase your expertise and set you apart from the competition. In addition, blogging relevant content consistently and frequently influences SEO and makes you more visible online. Start blogging and reach out to your new potential customers. Follow MyMarketor’s board Blogging on Pinterest. As a small business owner finding time for regular and consistent marketing can be difficult because there is always other “business stuff” that takes priority. CONTACT US; we can help you develop a plan that’s right for you. We can even help you with implementation and staying on track with your plan. Comments Off on What Are The Benefits Of Blogging For A Small Business?